100g of spreadable cheese (we like Philadelphia cream cheese and Saint Agur Blue Creme cheese). A few small tomatoes cut into pieces. Half an avocado (peeled and cut into chunks). 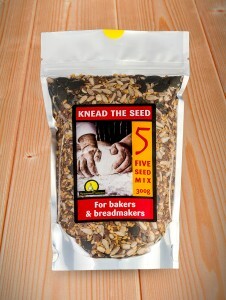 One tablespoon of Knead The Seed 5 Seed Mix. 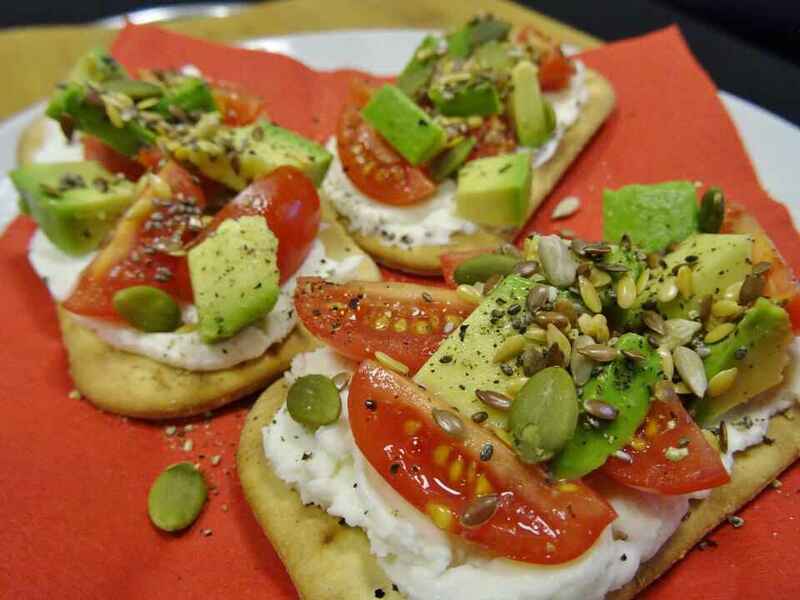 Perfect for a healthy snack or as party nibbles! Spread the cheese of your choice onto your preferred crackers. Top with chunks of tomato and avocado (or any other fresh salad ingredients). Add a twist of ground black pepper. 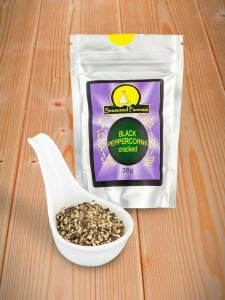 Sprinkle over some cracked black pepper and the 5 Seed Mix. Garnish with torn Basil leaves (optional).